Omni Filters GAC1-RS2-CB3 Replacement Cartridge - Drinking Water Filters & Purifiers by Omni! The replacement cartridge kit for the Omni Total Plus water filters. Includes the GAC1, the RS2 and the CB3A replacement cartridges. If you are purchasing this kit for the OT5 please install the RS2 closest to water intake, then the GAC1 in the middle & then the CB3 on the end furthest from the incoming water. Change GAC1 every 6 months, CB3 every 4 months and RS2 filters every 3 months. Change O-rings every 3rd filter change. Help - What do I need? Help - What Oring do I need? What wrench do I need? The GAC1 is an activated carbon cartridge used in OMNI Undersink Models SFM2, UC2, OB3 and U400. The GAC1 removes sediment, chlorine and odors to give you great tasting water right from the tap, or from a dedicated faucet, depending on the unit selected. If you have an older Omni filter model that has been discontinued and need O-Rings or cartridges, please call our customer service number: (855) 855-1976 for assistance. Change cartridge filter every 1 year or 2,000 gallons. Benefits Removes chlorine and odors to provide great tasting water. 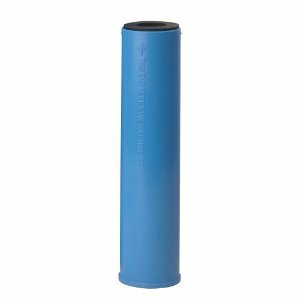 The RS2 is a string wound cartridge for OMNI's U25, OB1, and OB5 Whole House water filters, the Omni Undersink OT32 as well as the older models R12, R14 and Omni Regular Whole House water filters. It has a smaller micron size than cartridges RS1 and RS3, which makes it ideal for removing small rust and sediment particles from your water. This cartridge replaces the RS2 SS and DS. Need Help? Please call our customer service number: (855) 855-1976 for assistance. Change cartridge filter every 3 months. Change O-ring every 3rd filter change. Benefits Reduces lead, Cryptosporidium and Giardia cysts, and 34 VOCs at 97% or better. Also removes chlorine and odors to give you great tasting water. The GAC1 is an activated carbon cartridge used in OMNI Undersink Models SFM2, UC2, and OB3. The GAC1 removes chlorine and odors to give you great tasting water right from the tap, or from a dedicated faucet, depending on the unit selected. Change filter every 12 months. Change O-ring every 3rd filter change. Note: The new style of GAC1 filter cartridge will fit older models of Omni filter units. Buy a GAC1 1 Usage and the quality of water in your incoming line determine when your cartridge should be changed. Change filter every 3 months. Change filter every 4 months.